SLC stands for single-level cell, MLC for multi-level (two) cell, and TLC for triple-level cell. All of these acronyms are representative of how many bits of data are stored per cell and how many voltage levels are stored per cell. 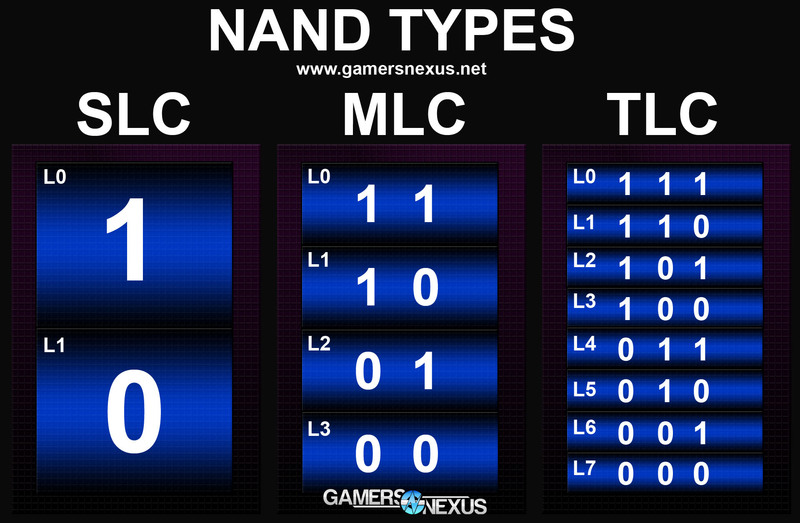 The different NAND types impact your cost-per-GB, total capacity, speed, and endurance of the device. The reason TLC and MLC are cheaper per GB than SLC is because they store more bits per cell, so where SLC can only store a single bit of data per cell on the NAND, MLC can store two and TLC can store three. TLC's additional bit storage resulted (at launch) in a ~30% price reduction vs. MLC drives. This also introduces stability and endurance concerns, though, but many of these have been resolved by careful tuning of firmware, wear-leveling, garbage collection, and compression. By introducing an additional bit per cell, the voltage levels require more granularity to read-back the data when accessed. As the device ages and loses its charge, the chance for a bit error (incorrect read) increases, eventually causing the drive's death. VNAND is a new type of NAND that uses 3-dimensional stacking in a similar concept to Intel's 3D transistors. This technique allows for Samsung (the only current VNAND fabricator, at time of writing, though this may change) to cram more data into a same-sized space by stacking it vertically. In concept, this can be thought of as an apartment high-rise vs. single family homes. Read more about this in our anatomy post, linked below. 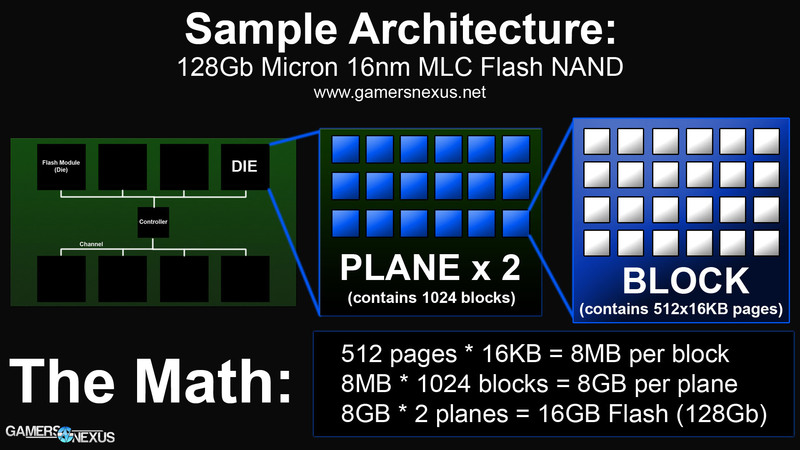 SSD Architecture: NAND Types Explained.